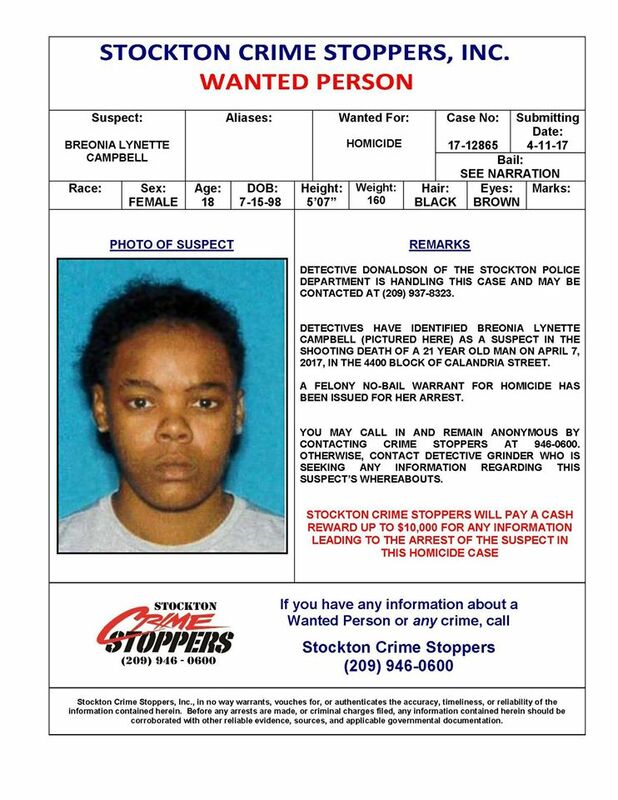 Stockton Police have arrested one of the suspects wanted in connection with the murder of a 24-year old man this weekend. The murder happened on Friday April 7 at 10:30 p.m. Stockton Police found the victim seated in a car on the 4400 block of Calandria Street and was declared dead at the scene. Subsequent investigation identified two suspects. 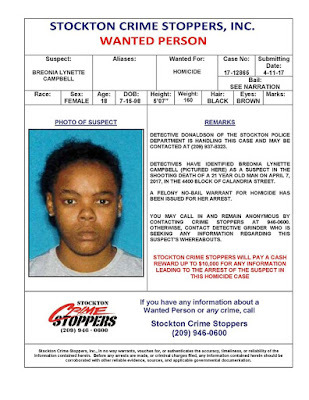 One of the suspects, Breonia Lynette Campbell, 18, of Stockton, was arrested tonight in connection with the shooting and has been booked into the San Joaquin County Jail. 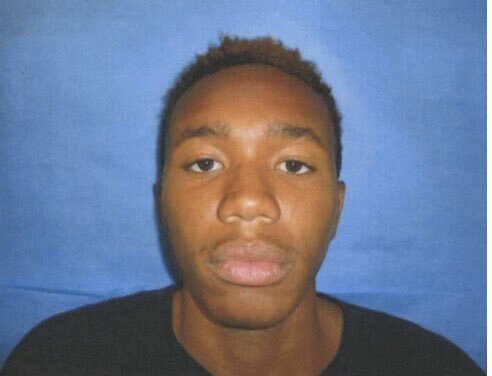 The other suspect still being sought is identified at 18-year old Erik Williams. the suspect is 6'3", 190 lbs, and is dependent on a wheelchair. Williams is considered armed and dangerous and has ties to Oakland and the Bay Area.